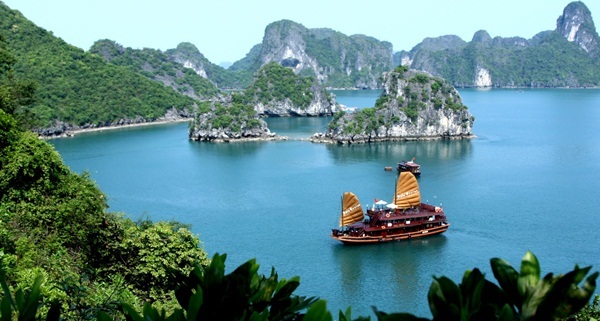 Here visitors would not only enjoy the beautiful scenery and fresh air but also be taking a special one – day tour on Halong yacht, as fishermen and kayaking, exploring interesting points at sea. The World Natural Heritagen Ha Long Bay, located in Quang Ninh Province, is one of the most attractive destinations of local and foreign tourists. 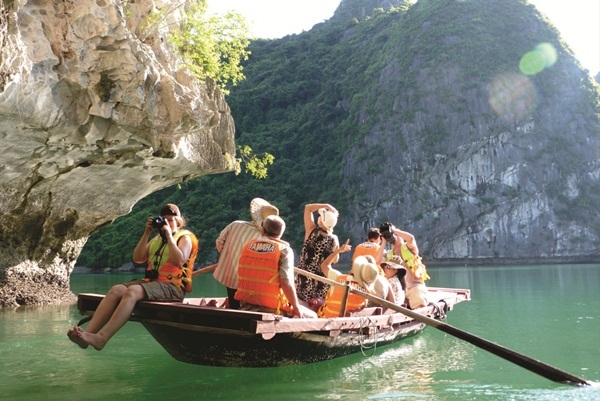 Coming to Halong at any moment during the year, travelers can admire the charm of an artistic heritage region, which is a wonderful combination of stone and water. 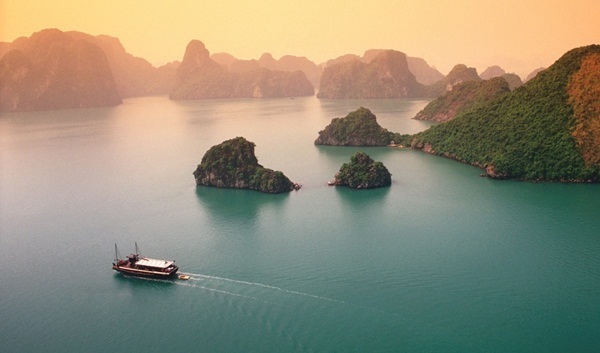 Cruise ship comes from Bai Chay tourist port in the early morning to run in the direction of Bai Tu Long bay. On the journey to get to the fishing village, the train goes through a lot of rocky islands which reflect over the shimmering water. Local residents named the islands according to their shape, such as Hon Am, Hon Mat Quy, Hon Oan. 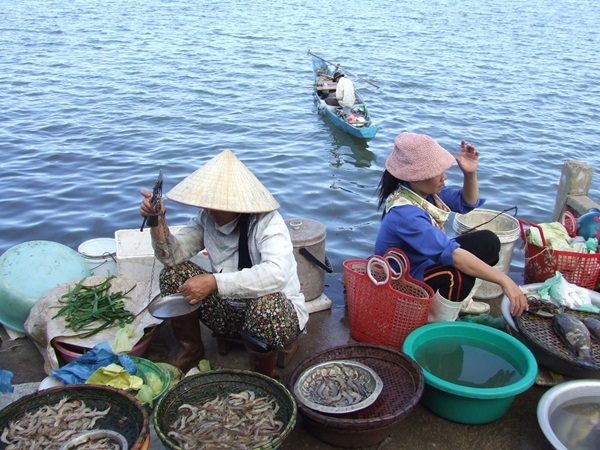 Joining in the tour “One day being a fisherman” at Halong Bay, the visitors from many parts of the world all have strong desire to explore the daily life activities of fishermen at sea. 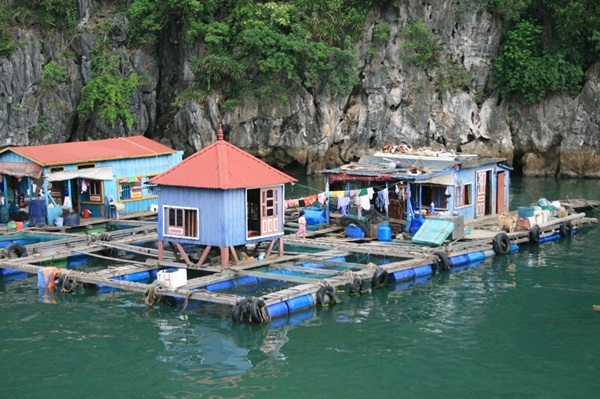 They will not only discover the natural beauty of the bay, but also have a chance to live with the real fishermen, to participate in activities taking place in Halong Bay fishing village such as fishing, boating, kayaking and living in floating houses in Halong Bay. Tourist group is divided into small groups equipped with life jackets and put down the small boats. The boats are taken to the location where the fishermen are fishing and visitors can take part in activities such as boating and fishing as true fishermen. First, the fishermen guide visitors to cast nets. This work looks over seemingly simple but very thrilling with ingenuity because if not careful the nets will be tangled. After casting a net, the fishermen drive the boat for one round. The next job that visitors have to do is type in scope to attract the attention of the fish into the net. At noon, a time when everyone in the group feels tired and hungry, the fishermen give signals to pull nets and harvest. This is the most exciting step for everyone. Nets are heavy with fish scales glistening in the sun. The amateur fishermen are shown how to remove the fish so as not to tear the net. Everyone is happy to pull a fresh catch. Lunch consisting of dishes made from the fresh fish is displayed on the table quickly. 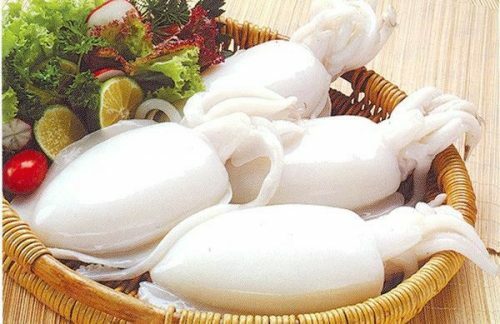 They are rustic dishes, not fussy and were processed by women in Vung Vieng fishing village in the vast space between sky and sea, giving people the feeling hard to describe. On the boat back to port, the tourists have the same mood that is the mix between fun and regret. One day becoming true fishermen brings travelers marvelous and exciting experiences, thereby helping them understand a lot about the lives of the coastal fishermen.